We take a lot of pride in being a number one Chevy dealership. We have years of experience helping customers find the Chevrolet car, truck, or SUV of their dreams. More importantly, we have a history of providing excellent customer service with a focus on making you as happy as possible with your new purchase. Whether you are looking for a new or used vehicle or need some service done on existing one, Carl Black is here to fulfill all your needs without issue. What can you expect from a Chevrolet dealership? How does an excellent, well-curated inventory mixed with great customer service sound? If that sounds like it is right up your alley, we are here to provide help. The fact is we have spent a lot of time and energy making sure we are your number one choice for any and all automotive needs you may have. Here’s what you can expect with Carl Black and the Chevrolet brand. As one of the oldest and most influential car manufacturers around, Chevrolet has decades of automotive design and selling experience. Every single car the brand produces is infused with the benefits of this extensive experience. From great performance specifications to unique additions you won’t find with any other automotive manufacturer, Chevrolet sets itself apart time and time again by giving its customers what they want the most: a great vehicle. The great thing about the Chevrolet inventory and model lineup is variety. If you have something particular in mind that you’re looking for, chances are Chevy has the right vehicle for you. If you don’t know what you’re looking for, perusing the wide plethora of possibilities that Chevrolet has to offer will give you a better idea of what you may want or need. Either way, the Chevy lineup is there to give you options in terms of models, trims, and features. Chevy cars are some of the most well-known in the world. You can pick notable models like the Camaro if you’re looking for that classic, muscle car feel in an affordable package. Mixed with great engine performance, comfortable interior accents, and overall general reliability, Chevy cars run the gambit of family, sports, and station wagon offerings. If you want something a little bit bigger, a Chevy SUV like the Suburban is a great consideration. Combining great fuel efficiency with above average pulling and cargo capacity, Chevy SUVs can give you more power and capability than the competition. On the inside, they feel like a smaller vehicle with the ability to hold more people or large objects at the same time. Finally, you have the Chevy trucks for those concerned about ultimate performance in terms of hauling capability. Chevy virtually defines what modern trucks look like and function these days. Considering you can see a Chevy truck from the 1940s still running almost flawlessly today, there is no doubt that the quality and reliability with which the company designs these pickups is unparalleled. Whether you need something small like the Colorado or a full-size pickup such as the Silverado, a Chevy truck is a great consideration when hauling is a top priority. You will get more than just a great Chevy vehicle when you step onto one of our lots. In fact, great vehicles in a well-curated inventory is just the start of the overall customer experience we have to offer. We understand that it can be difficult to find that perfect vehicle. That’s even before you have to consider your financing or payment options, insurance, warranties, accessories, etc. In other words, it’s not easy to buy a new vehicle. Unless you work with us. Carl Black is proud to employ a number of skilled, experienced service staff members who know anything and everything about Chevy vehicles and the brand. If you come in not knowing what you want, a salesperson can help you narrow down the choices, explore possibilities, and determine which option is right for you. When you have an idea in mind, they can quickly set up a test drive so you can get the full experience of what it’s like to drive the Chevy from behind the steering wheel. Interested in a used vehicle? We can help there as well. Our inventory is full of certified pre-owned Chevy vehicles as well as other used cars, trucks, and SUVs that we inspect personally to make sure they are up and running when you buy it from us. We like to make sure you don’t encounter any surprises. 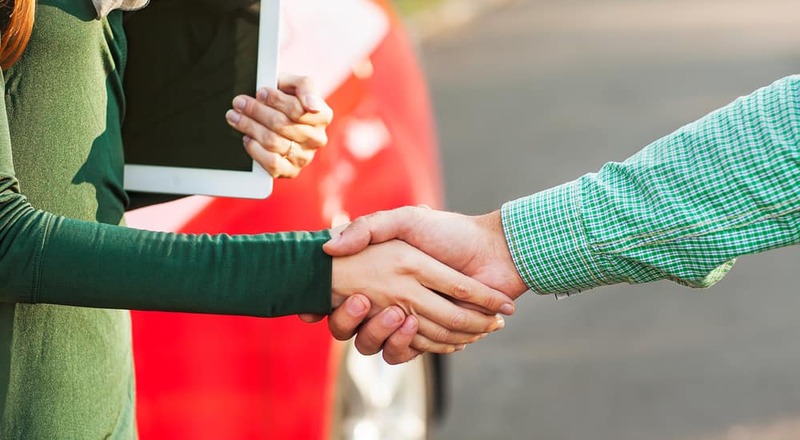 To reduce the usual frustration people experience when buying a used vehicle, we go the extra mile to give you any and all the information you need to make the best decision for yourself and your family. When you are ready to make a purchase, our sales staff continues to work with you every step of the way. For financing, you can talk with one of our experts to see what options you have available. They will take into account your credit history, overall budget, the cost of the vehicle, and desired term details. They can also reach out to our network of local providers with a single application, so you only have to fill out some paperwork once before you start to receive offers. What more could you ask for? How about the entire breadth of the Chevy accessories and parts catalog at your fingertips. If there is something that your car needs in terms of repairs, all you have to do is bring into our service department for complete working repairs. Our mechanics know how to diagnose and fix any problem quickly, that you may experience with your Chevy (or other brand) vehicle. If you want to make some upgrades or buy some accessories, we can help there too. We have full access to Chevy’s entire accessories catalog so you can soup up your truck, add a few convenience features to your car, or otherwise make your ride even better than it is now. The only way to truly experience what we have to offer you is through personal experience. Whether you come to our dealership in person, on the phone, or check out the rest of our website, you will quickly discover how we rise above our competition when it comes to selling and servicing new and used vehicles. There’s no time like the present to get started. If you’re in the market for a new vehicle, don’t hesitate to get in touch with us immediately. We can start as soon as possible finding you that next perfect Chevrolet vehicle we have in stock. If you want help with each step, we can get you in touch with one of our general staff to answer common questions you may have about the vehicle purchasing process. We can help with anything from what types of financing options to consider to researching different models to check out and more. Today is the best time to start, so what are you waiting for? Get in touch with us or come on down to talk with someone face-to-face to see what Carl Black can do for you today.